If there wasn't at least one inappropriate joke made at the MTV VMAs on Sunday night, the telecast would have been a real surprise. But celebrities really kept the tradition alive this year. 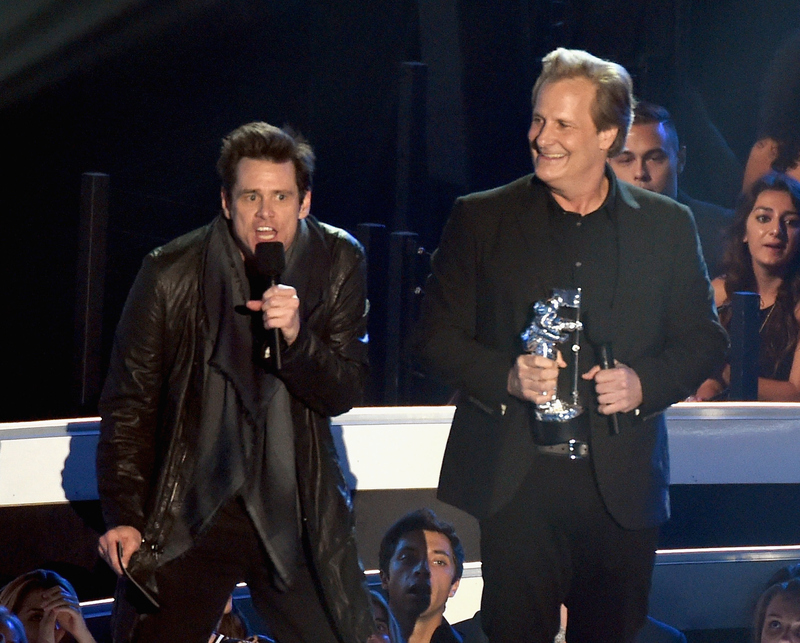 Jim Carrey and Dumb and Dumber co-star Jeff Daniels took the stage to present the award for Best Pop Video to Ariana Grande for her song "Problem," but before the moon man was given out, the two stars got the chance to make a few dumb jokes which were mostly about Jim Carrey's weird scarf. The worst, however, was when Carrey made a crack about the recent Ebola outbreak. The comedian put his scarf over his head and said "Guess who's not getting Ebola at Coachella this year." Making jokes about breaking news can usually be really funny. But when you're making jokes about things that have harmed people so recently, it's not in good taste. Carrey has always been a funny man but this crack was poorly timed and should have been avoided. But Carrey's comment wasn't the only one that had me and many other fans shaking our heads. Comedian Jay Pharaoh came up onstage many many times impersonating some of the famous rap stars around including Kanye West. As West, Pharaoh did his usual joke about how Kanye's lack of humility, but he took the joke much further than he does on "Waking Up With Kimye" on Saturday Night Live. "My videos cure ALS," he declared. He didn't really get all the laughs he probably hoped he'd receive. Chelsea Handler also made a strange joke, though hers was not nearly as offensive or inappropriate as Pharaoh or Carrey. Taking the stage to present an award after Taylor Swift's performance, Handler had to make some kind of comment towards TSwift. "I am here to present the moonman for best male video award. They asked me if I wanted to present at the VMAS and I said, there's going to be a lot of big fat asses at that awards show so I will present but you have to put me up after someone who's white. So thank you Taylor Swift for being so white"
Congrats on your jokes guys. Way to keep the VMAs a classy affair.